Marriott's eagerly-anticipated Edition brand has finally made its global debut, with the Waikiki Edition hotel opening in Hawaii during October. 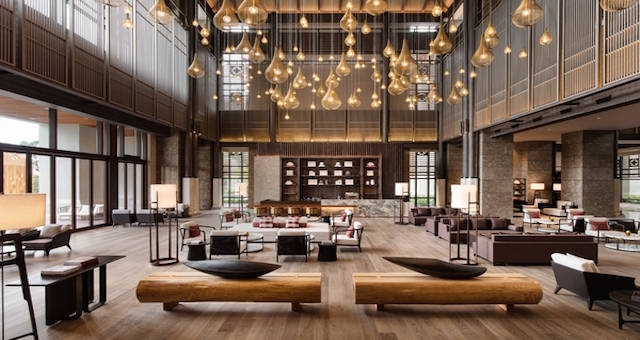 A collaboration between hotelier Ian Schrager and Marriott International, Edition is the Washington D.C-based company’s first foray into the booming hip segment of the accommodation industry and if the first property is any indication, it’s going to be a huge success from the outset. The Waikiki property will be followed by hotels in Istanbul, Bangkok and Barcelona, and the company’s Chairman and CEO, Bill Marriott, is excited about what the brand will achieve, particularly thanks to Schrager’s involvement. “Schrager’s concepts have revolutionised both nightlife and hospitality,” Marriott said. “Time and time again he succeeds in making people feel as if they are part of something new, unique and special; always eliciting an emotional and visceral connection to the experiences he creates. “His concepts have been and continue to be widely imitated around the world,” he said. Waikiki Edition fills a void in the Honolulu hip hotel scene since the departure of W Hotels some time ago and is perhaps the most exciting development seen on the island since the opening of the Trump Hotel in 2007. The property features 353 rooms, Waikiki’s largest luxury ballroom (9,200 square feet), a private beach and bar with its own lagoon, a second pool and bar surrounded by landscaped gardens, a lobby bar, New York-style Crazybox nightclub, a restaurant from famed chef Masaharu Morimoto and perhaps the coolest artwork ever seen in a hotel lobby. The lobby features a dramatic, wall-to-wall surfboard installation by artist and internationally renowned former professional surfer Herbie Fletcher. It’s made from over 100 collected, broken surfboards from the sport’s best pipeline surfers – including Kelly Slater, the late Andy Irons, Mick Fanning, Joel Parkinson, Nathan Fletcher, Bruce Irons, and Christian Fletcher – and hangs effortlessly above the custom-made reception desk which has been made from sculpted plywood transformed into a natural, organic shape and finished using the techniques and traditions of local Hawaiian surfboard making. Concepts like this are the essence of the Edition brand, according to Schrager. The property also features a 1,500-square foot Penthouse and 1,300-square foot Sun Suite, both with views across the harbour and ocean.